Stamp Set: ? I have a jar filled with stamps and I can't remember the set. Sorry! Cardstock: Rich Razzleberry and Whisper White. Accessories: Circle Punches, Cottage Wall Designer Series Paper, Stamping Dimensionals and Adhesives. I had alot for fun doing this one. 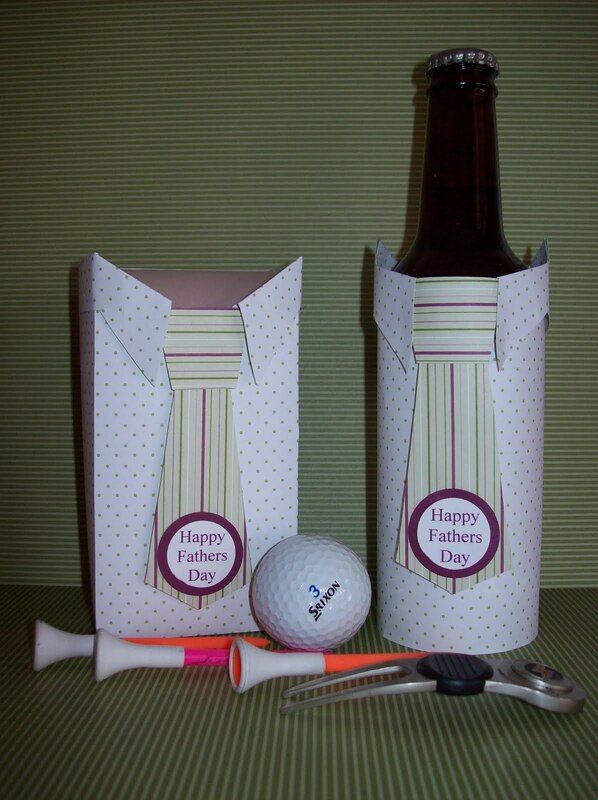 Taking the idea of a mans business shirt and turning it into a box and bottle cover. Come on over to JUGS http://justusgirlschallenge.blogspot.com/ and join on in the fun. This is FANTASTIC Sammi!!! WOW! Love the matching bottle cover and gift box! So cute in the shape of a shirt and tie - Perfect for Father's Day! 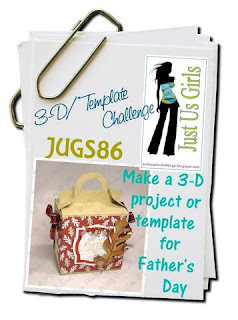 So glad you could play along with the JUGS template/3D challenge this week!!! Super duper cute bottle wrapper! Thanks so much for playing with Just Us girls this week.